Sunday marked Milwaukee Day, a day to celebrate the uniqueness our city has to offer. MILWAUKEE -- Sunday marked Milwaukee Day, a day to celebrate the uniqueness our city has to offer. From shopping to drinks or guided mindfulness Milwaukee Day highlights the city. A group started the day with a tweet but that spread to a full holiday in Milwaukee. Now businesses all over the city showcase the special features of the city. 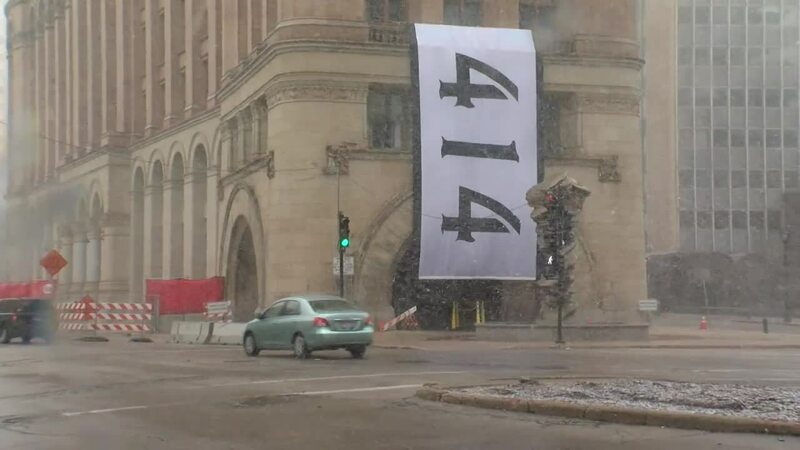 “A number of years ago my brother tweeted out today’s date is 4/14 my friends really globed onto that in a weird way because we love Milwaukee,” Silverman said. “It’s just circulating I local economy and making Milwaukee grow better,” Laessig said. Businesses like the Harley-Davidson Museum offered 414 specials. Tim McCormick works at the Museum, where they offered admission for $4.14. “It’s a great way to learn more about Milwaukee history,” said McCormick. And not just the history, but also an appreciation of the current businesses. Lieutenant Governor Mandela Barnes visited Milwaukee brewing company. This year Milwaukee day is even more special thanks to the bucks first day in the NBA playoffs. Silverman thinks this is no coincidence. “The season of destiny the playoffs begin today on the Milwaukee day how bonkers is that,” said Silverman.